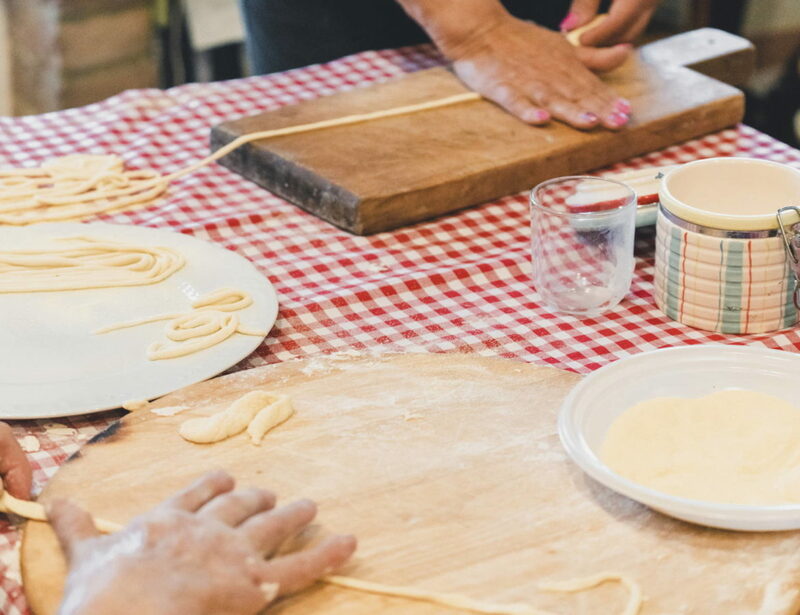 The Tuscan way of life told through food. Together with the local housewives, you will undertake a typical local cooking course, cooking dishes that are simple and tasty at the same time, typical of the sharecropping period. All the ingredients of the course are selected according to seasonality and focusing on local zero-miles productions. First step is the preparation of bruschetta and croutons of various types: with tomato and basil, Tuscan extra virgin olive oil, etc. 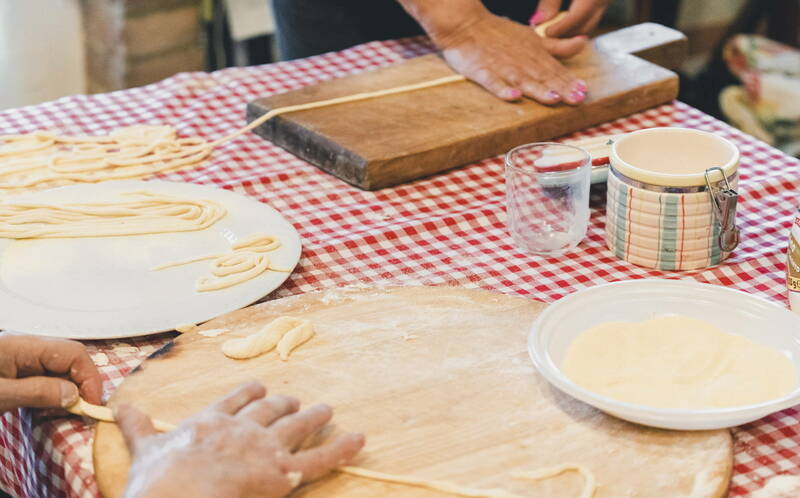 Then, continue by mixing water and flour to make the pici, namely the famous handmade pasta typical of the Province of Siena, then an excellent sauce, and finally a delicious homemade dessert. Between a preparation and the other, a glass of wine will always be present to keep company with you. At the end of the course, the table will be set and prepared with the freshly cooked dishes. Now, you only have to taste them, paired with local wines. A rural experience to discover the traditional Tuscan cuisine, to be lived on a farmhouse, on a farm, or in a trattoria.